Never Plead Guilty® to DUI / Impaired Driving charges! Do Not Voluntarily Surrender Your Rights! Talk to Frank Genesee and learn your options before you act. You should never plead guilty to impaired driving or DUI charges without first speaking to an experienced impaired driving lawyer. It can be difficult or impossible for your lawyer to undo the damage caused by a misguided guilty plea. Before you make any irreversible decisions, you should become fully informed about the case against you and all of your options so that you can decide how best to proceed. The best way to become informed is to speak with a skilled impaired driving lawyer in your area. For the help you need in Hamilton, call Frank Genesee today at (289) 426-1644. Do not assume you’ll be found guilty. Never assume that you are guilty just because you were charged. Just because you were drinking and driving does not mean that you will be found guilty. Drinking and driving alone is not against the law in Canada. But impaired driving laws are complicated so it is a good idea to have a lawyer on your side. Don’t assume that you’ll be found guilty because you failed a breath test. The breath test machines are frequently improperly maintained or improperly calibrated, which means that your test results may not be reliable. Police officers often administer the breath test incorrectly, possibly tainting the results. There are many circumstances in which an experienced impaired driving lawyer can have the results of your breath test excluded from evidence. That means that the judge or jury hearing your case may never hear that you failed a breath test. Do you have a defence to the charges against you? Unfortunately, many people enter a guilty plea, only to learn that they had an absolute defence to the charges against them. Frank Genesee can advise you whether one of the numerous defences against impaired driving charges might apply to you. The tiniest detail may be the important fact that saves you from being convicted. Frank Genesee knows exactly how to find that detail. Can the prosecution prove its case against you? Do not plead guilty until you speak to Frank Genesee about your case. It is vital that you know whether the prosecution can prove its case before entering a plea. We have all been told that we are “innocent until proven guilty.” Unfortunately, few people keep that phrase in mind when they are dealing with the stress of an impaired driving charge. It is the prosecutor’s job to prove its case. 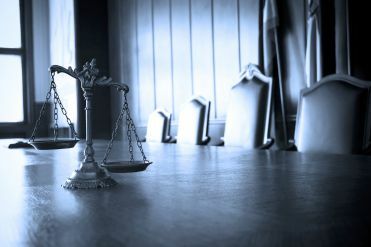 If the prosecutor is unable to prove every aspect of the charge against you (and there are typically many details that need to be proven), then you will be found not guilty. Frank Genesee has the experience necessary to analyze the prosecutor’s case and provide you with invaluable advice about the prosecutor’s chances of proving its case against you. Can you enter a plea to a lesser offence? The outcome of a trial is never 100% certain. In some circumstances, your best plan may be to try to negotiate with the prosecutor for a reduced charge. If such a negotiation is successful, it is known as a plea bargain. In a typical plea bargain, the prosecutor might agree to reduce the charges against you. In exchange, you would agree to plead guilty to the lesser charge, which could be a non-criminal charge like a traffic ticket. Pay less money in fines. Frank Genesee knows the prosecutors in the Hamilton area and has the skills and experience necessary to get you the best deal possible. Know the consequences of an impaired driving conviction. There are a number of different impaired driving offences in Canada and the laws can be complicated. 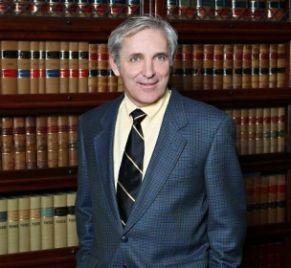 Frank Genesee will ensure that you understand the possible consequences that will flow if you are convicted of the charges against you. Temporary or permanent loss of your driver’s licence. Loss of employment (if you depend on your driver’s licence for work). A criminal record can have a significant impact on your life, affecting the jobs you can obtain, where you can live or travel, and which post-secondary programs you are eligible to pursue. It is imperative that you understand these consequences before you plead guilty. Once you have entered a guilty plea, it is difficult, and often impossible, to withdraw your plea. On the other hand, it is always possible to plead guilty after you have consulted a lawyer about your options. Speak to Frank Genesee about a Not Guilty plea. It is not uncommon for those facing impaired driving charges to lose hope. After all, they are not aware of the hundreds of ways that experienced impaired driving lawyers like Frank Genesee win cases just like yours. Don’t make any assumptions about your case or your guilt without consulting an expert first. Contact Frank Genesee today to discuss your options, including a plea of not guilty.